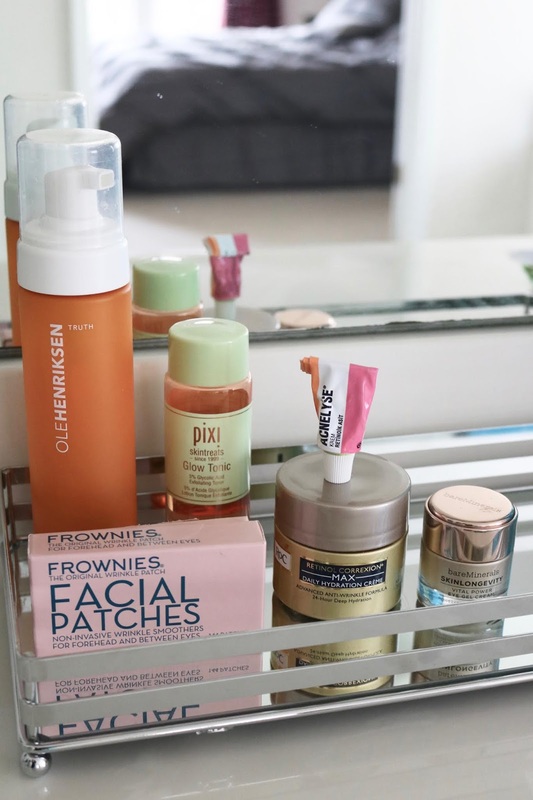 I thought it is time again to share with you my current anti aging skin care routine! Which products do I use in the morning and which in the evening and why? 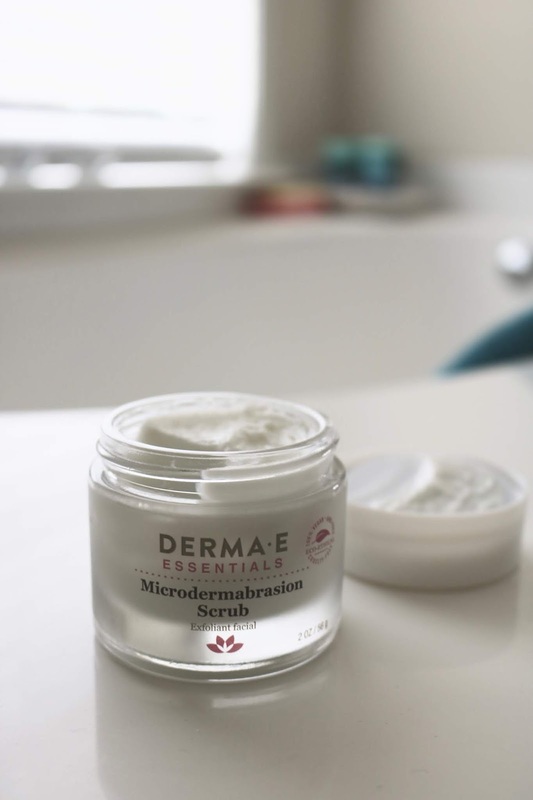 lactic acid to gently exfoliate skin. Vitamin C is a great antioxidant to reverse uneven skin tone! I rotate my Vitamin C serums- there are many good ones out there. 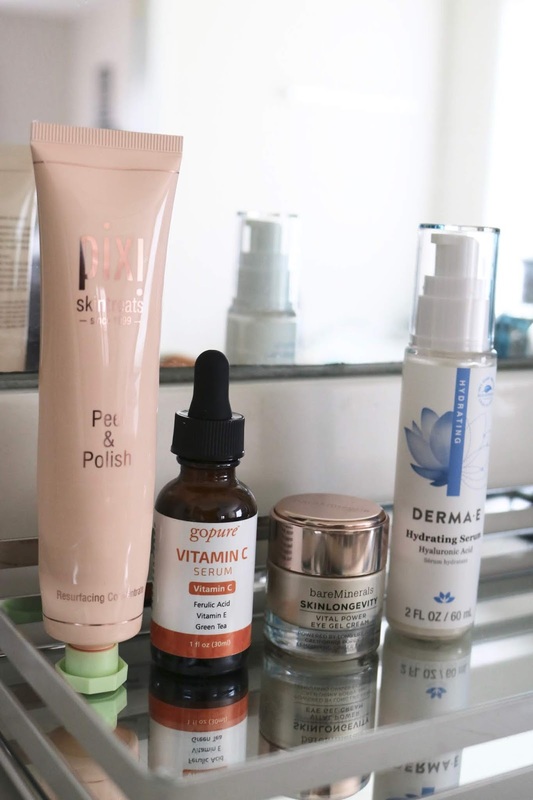 I wrote a whole post about it here, but currently I use the gopure Vitamin C serum ($16.99), but I am a huge fan of the belitae Vitamin S serum too. 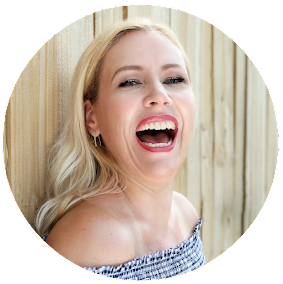 Vitamin C is a natural antioxidant that helps to achieve a more even skin tone and it really gets rid of those dark brown spots (see my before and after pics here)! Make sure you use one that contains 20% Vitamin C for a maximum effect! Women are always wondering, if we truly need an eye cream or not. I wrote about this here and my take on this is: if you feel like you need one: use one! ;-) I definitely feel like my DRY AS DESERT EYE AREA needs one! 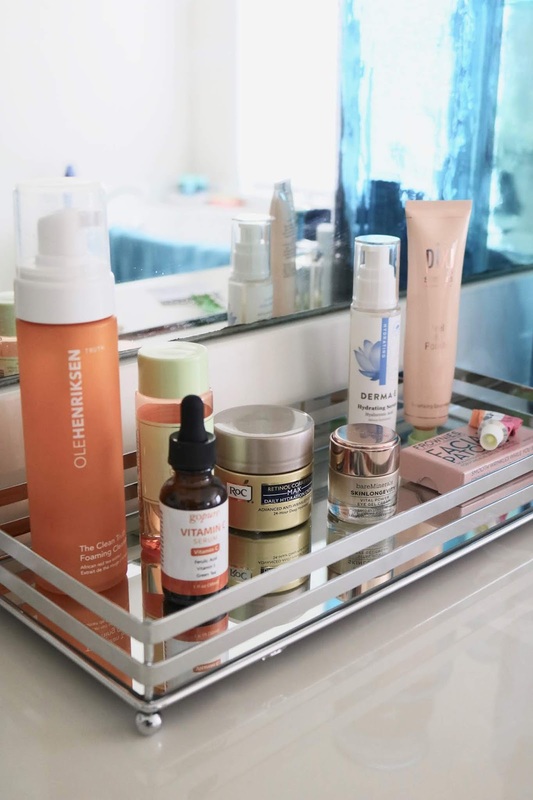 I use currently the Bare Minerals Skinlongevity ($24) with California poppy and lempuyang ginger to help protect against the damages from environmental stressors, but I also love Derma E DMAE eye lift with Goji Berry, Argireline, Matrixyl and Hyaluronic Acid or I simply use Nivea! (read here how to use Nivea as an eye cream). I have combination skin with an oily t-zone- so often times I don´t feel like I need and extra moisturizer. However, if it is very cold outside, I sometimes need a little extra. I like the Derma e Ultra Hydrating Serum with Green Tea and Hyaluronic Acid ($23). This is a light lotion that is hydrating, but not greasy and it smells super fresh! I know... we should apply sunscreen. Even if it is a cloudy winter day. However: I can´t stand to have so many different layers of product on my face. That is why I simply reach for foundations that contain already SPF, such as IT Cosmetics CC cream (with SPF 50) or the Bare Minerals Barepro (SPF 20), the Neutrogena Healthy Skin Liquid Makeup (SPF 20) or Clarins Everlasting Cushion Foundation (SPF 50). I use currently the Ole Henriksen Clean Truth ($30) and it is lovely and gentle and smells like oranges- however, I don´t think you have to spend that much for your cleanser - fun fact: I just compared facial cleansers with hand soap and they are really not that different from each other (read it here). I personally love the Paula´s Choice Resist Facial Cleanser ($19) very much but I can also recommend the affordable Cetaphil Daily Facial cleanser ($15 for pack of 2). I use the RoC Retinol Correxion Max Daily Hydration Creme ($20.99) that contains Retinol. BTW: this product is identical (except for the fragrance) to the Neutrogena Rapid Wrinkle Repair Retinol Cream (as I explain in this article). If you have very sensitive skin- both brands: Roc and Neutrogena have also a fragrance free version. Every couple of weeks I do a "Retin-A cure" to get rid of some of the top layers of my skin. I explain how to start Retin-A without irritation here and I have tips how to get Retin-A without a prescription here. I use currently the Bare Minerals Skinlongevity (makes my eye area feel like silk!) but I also love Derma E DMAE eye lift (feels lifting and hydrating) or I simply use Nivea! Of course I still use my Frownies! 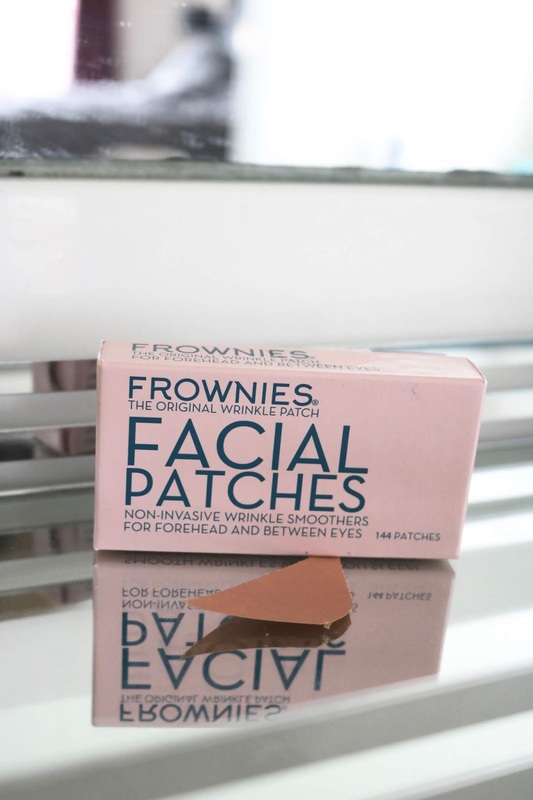 These are facial patches that I put on my frown line between my eyes every single night! It has been 5 years and I have seen tremendous success with it (see my before and after pics here).